Download MMDxShow.dll … Direct Show cannot read MMDxShow.dll! There is not ‘MMDxShow.dll’ in ‘Data’ folder. Please download the newest ver. MikuMikuDance. I get an error about a missing DLL file when I try to render to AVI. MMD crashes when I try to render to AVI. My MikuMikuDance is missing MMDxShow.dll file. Download MMDxShow.dll from LearnMMD.com … Reggie’s personal copy of that missing DLL file. 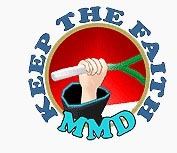 As of this writing, Christmas Day, 2013, I do not know if downloading and installing this DLL file will solve the cannot read MMDxShow.dll file error problem; that’s why I call it “Experimental” … Please let us know if it works for you … leave a comment! Start by renaming your old MMDxShow.dll file (if you have one). Name it something like orig_MMDxShow.dll so that you have the original file saved, if you need it later. Then, Download MMDxShow.dll from LearnMMD.com‘s DOWNLOADS page. Unzip the folder and drop the new DLL file into your MMD DATA folder, as shown in the picture, above. Close MMD (if you have it open) and start MMD. Make a quick test … render to AVI and see if it works … … Yes? … No? … PLEASE leave a comment to let us know how it works for you! The MMDxShow error sometimes can be triggered by lack of necessary MS Visual C++ Redistributable packs. If you downloaded the proper .dll file from our page, placed it where it belongs, and still are getting the error, make sure that you have them installed as instructed. Like any other zip… drag the zip to your desktop… double-click the zip… click the EXTRACT or Extract All button and OK the default pop-ups. Now you will see the new folder on your desktop. It worked for me very well, it really worked for me, thanks the problem was solved. Thank YOU! …Most folks complain when it doesn’t work… so glad you took the time to give us a POSITIVE note! I’ve followed the instructions to the letter, but I still get an error saying that the dll could not be read or found. It’ll then start recording, but be stuck on the first frame until I close/cancel it. I have everything properly updated including DirectX 9.0c, but it still refuses to cooperate. Do you have any other advice? It doesnt work for me, When I want to render AVI file. Check if you have DirectX 9.0c properly installed. MMDxShow is sometimes difficult. You gave no details. Downloaded everything and STILL DOESN’T WORK. Every Visaul C++ version and DirectX are installed, file was replaced AND STLL DOES NOT WORK. Could you help me? I hear you saying you’ve installed DirectX and C++, but are you positive you’ve installed them *successfully*? Please humor me and check again, as described here. Screenshots would be appreciated even more. honestly, ive tried everything. but the same error has came up too many times no matter what i do. i havent lost hope but i think my laptop has. What happens when you try? Is there an error message and what? What codec do you use? Try a very short clip in AVI RAW – does that work? What codecs do you *have*? This doesent work for me…. Do you have DirectX 9.0c (*not* the higher version) installed?